[London: Thursday 1st February 2018] Today, leading London property developer, EcoWorld Ballymore, has announced the launch of a unique pop-up art gallery at their London City Island development. The pop-up is the result of an exciting collaboration with Trinity Art Studios, bringing some of the most forward-thinking art and photography to East London’s newest cultural hub. The exhibition, which opens its doors to the public on February 1st, will unite resident artists from London City Island with nearby Trinity Art Studios and arebyte, who currently occupy another of the development’s gallery spaces. This unique partnership will see the likes of resident creatives Tim Allen and Sokari Higgwe join forces with neighbouring artists Taro Qureshi and Caroline Jane Harris from Trinity Buoy Wharf and arebyte respectively. The pop-up will run from 1st February until April 28th. In keeping with the island’s commitment to supporting local artists, EcoWorld Ballymore is delighted to provide a platform for its residents to exhibit their work. 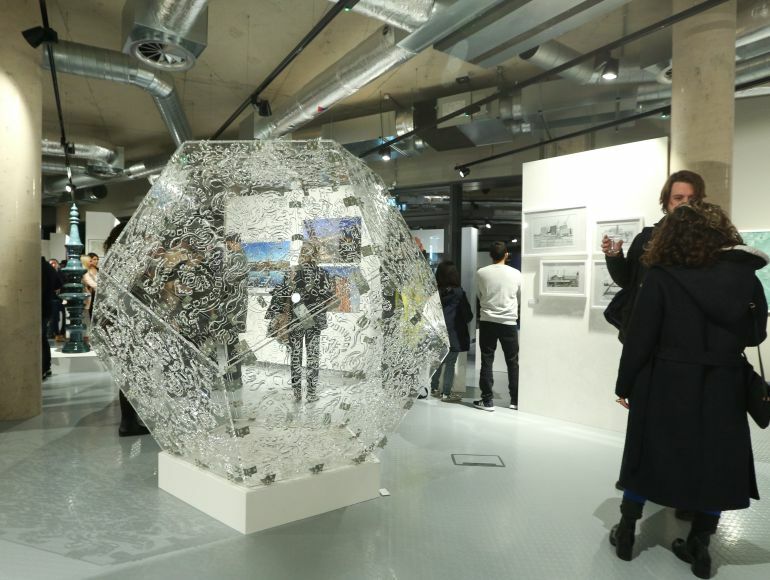 The pop up art gallery is the latest in a long line of culturally enriching projects that London City Island has embarked upon. For instance, The London Film School is relocating to the island, joining English National Ballet and English National Ballet School who are also making the island their new home, cementing the island’s position as a hub for the arts. In addition, east London’s contemporary art walk, The Line, will soon extend to the island and set up an information hub. London City Island is more than just a place to live; it is a destination for art, culture and creativity. The island is a new neighbourhood for the capital, surrounded by water on Leamouth Peninsula and connected to Canning Town by a striking 260 ft. red footbridge. The development will comprise 1,600 residential units, along with independent cafes, shops, restaurants and diverse cultural facilities. February will see the release of new residential units at the development, with suites, one, two and three bedroom apartments available from £406,000. Sean Mulryan, Chairman and Chief Executive of Ballymore Group, added: “Given our commitment to culture and the arts, the opportunity to launch a new pop-up gallery at City Island was considered a logical step. We are delighted to be working closely with our neighbours and I hope the exhibition inspires others to embrace their own creativity”.